Home Insurance Life insurance Is Life Insurance Worth the Cost at Middle Age? Is Life Insurance Worth the Cost at Middle Age? People today are better educated in life insurance that it was a few years ago, when there were many myths around this type of insurance, including the fear to get life insurance or writing a will thinking that by doing such actions they would precipitate their own death. However, what is not yet clear today is the best age to take out life insurance coverage. What is The Best Age to Take Out Life Insurance? If you have ever asked yourself this question, you could come across with the answer. Age makes no difference when it comes to taking out life insurance because it is not about your age, but about the risks that may take you to a premature death, in the case you are young. On the other hand, people in elderly years consider naturally getting life insurance with the future of their family in mind but, what about insuring yourself in middle age? However the older you get, the harder or more costly your life insurance plan will be so life insurance is truly worth the cost at middle age over doing it when turning a senior citizen. Oppositely, many people think that their premiums will be truly low if they take out life insurance during their youth. As noted above, life insurance does not take the age of individuals as the only concept to determine the premium that people pay for this coverage, but quotes are based on a series of factors including job risks, daily hazards, pre-existing medical conditions and more. Therefore, if your life is not at risk and you are still young, it could be wise to wait until you reach middle age, particularly when you have not achieved stability in job and finances as of yet. 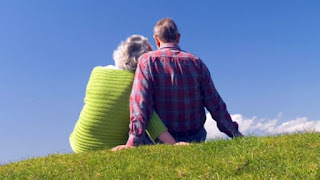 At middle age, buying universal life insurance could be a better option for you than taking out whole life insurance because the premiums of the universal policy are usually lower and makes no difference in the term of the coverage because it is also permanent as the whole life insurance policy, thus your beneficiary will be entitled to receive proceeds. Three out of five American between 50 and 64 years are not eligible to get health coverage from their employers and the percentage increases for unemployed people that will not be able to find employment that offers some kind of protection they can use as an alternative to life insurance. This is why middle age is a good moment to purchase life insurance. Similarly, a life insurance policy in middle age can be the solution for those individuals who are self-employed because the only money that your beneficiaries will receive is that of dividends produced by your life insurance policy. In this particular matter, remember that there will not be an employer compensation for them. Therefore it is definitely worth pay the cost of life insurance coverage.